Paris Hilton and Lindsay Lohan “Avoided Each Other Completely” at Super Bowl Party—All the Details! Lindsay Lohan and Paris Hilton ‘s friendship is so 2006. Other famous attendees included Mike Comrie , Zachary Levi, Terrell Owens and Geoff Stults . Hilton held court at a table with her model boyfriend, River Viiperi . In an August 2013 Oprah’s Next Chapter interview, Lohan admitted that “alcohol” had been her drug of choice in previous years. “That, in the past, was a gateway to other things for me,” she explained. Mila Kunis is the new face of Jim Beam. She will star in the brand’s new multimedia campaign, called “Make History.” Jim Beam describes Mila as a global partner and spokesperson. Mila visited the Jim Beam American Stillhouse Distillery in Kentucky. She was given a tour of the Jdistillery by 7th Generation Beam Master Distiller Fred Noe. Actress and singer Naya Rivera covers the Spring 2014 issue of Cosmopolitan for Latinas. The cover shoot was photographed by Marc Baptiste. In the interview, Naya talks about her fiance Big Sean. She also talks about getting a job as a teenager and speaking Spanish. 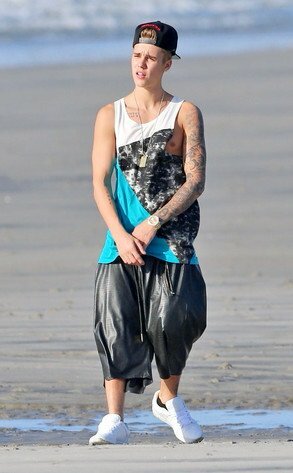 Justin Bieber ’s plane was stopped at an airport in New York on Friday under suspicion that it was carrying marijuana. The private aircraft had just arrived at Teterboro Airport when authorities detected what they believed to be the strong odor of weed. According to law enforcement sources, the plane was ordered held at approximately 3 p.m. while drug-sniffing drugs examined the interior. Bieber chartered the jet from Canada on Friday to attend the Super Bowl and pre-game festivities this weekend in New York and New Jersey. 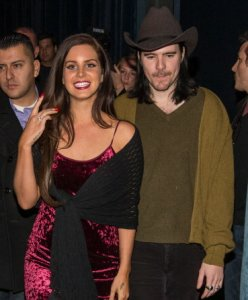 Lana Del Rey is secretly engaged to boyfriend Barrie-James O’Neill , Us Weekly is reporting. The outlet says the couple has actually been engaged since last summer, although the engagement has NOT been confirmed. O’Neill is in the Scottish band Kassidy . 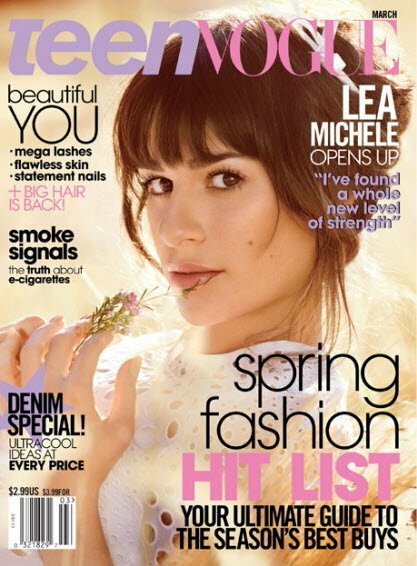 Actress Lea Michele covers the March 2014 issue of Teen Vogue . Lea was interviewed by her best friend, actor and singer Jonathan Groff, for the Teen Vogue cover. He asked Lea about her debut album and about what Cory Monteith thought about her album. Selena Gomez is NOT dating Austin Mahone, despite an Us Weekly report. The magazine claims that Taylor Swift played matchmaker for the two young music stars. Except Us Weekly, which previously fabricated a romance between Gomez and Ed Sheeran and spread a false rumor about Gomez and Swift feuding, is wrong once again.